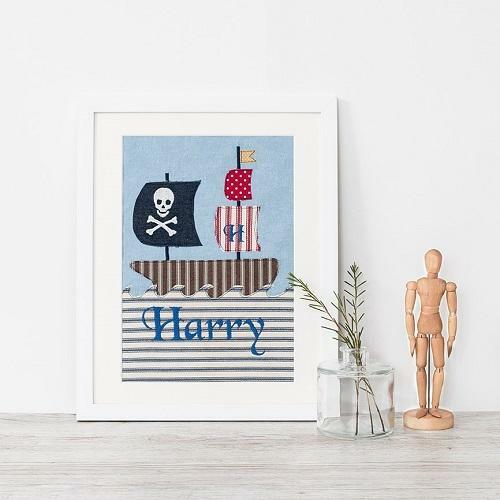 This lovely personalised pirate ship applique picture is sure to be a hit with any pirate mad little one! 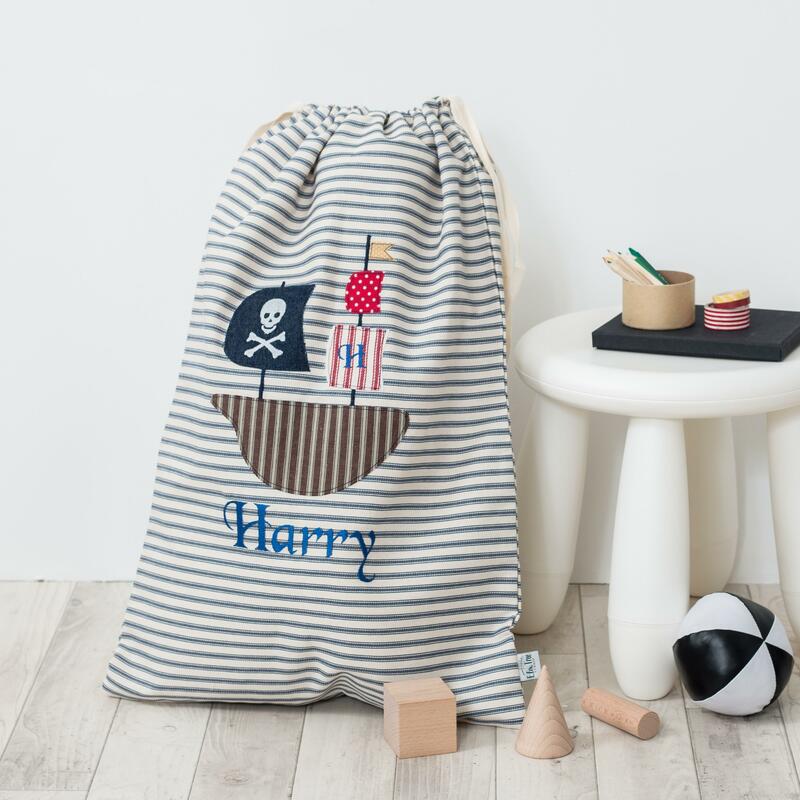 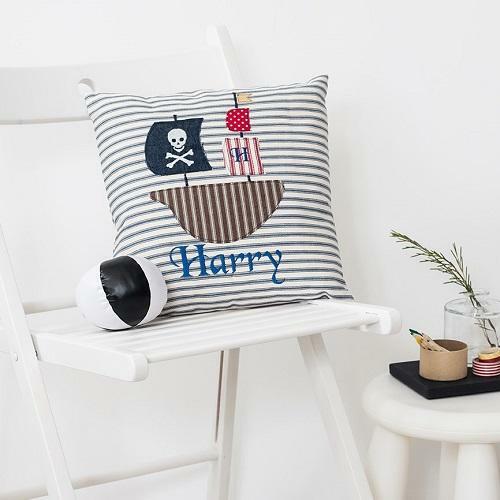 This handmade pirate picture, is made from soft navy ticking stripe cotton with both applique and embroidery, it makes for a colourful addition to a little boy's room. 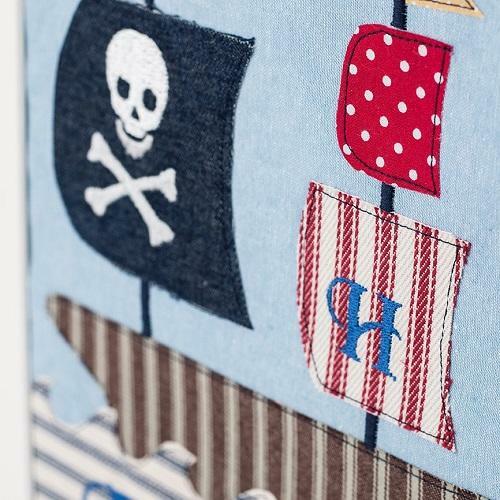 An embroidered initial on one of the ship's sails adds an extra personalised touch. 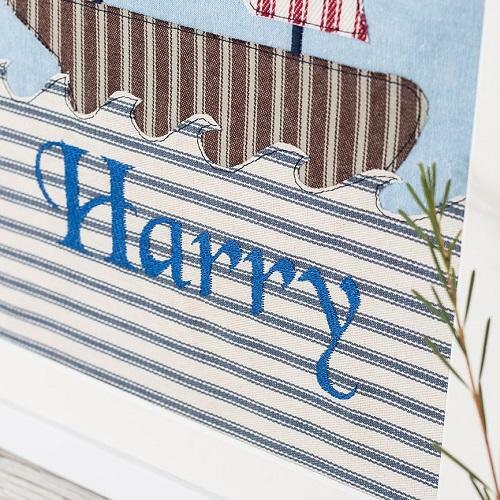 Please contact me with your choice of name to be embroidered. 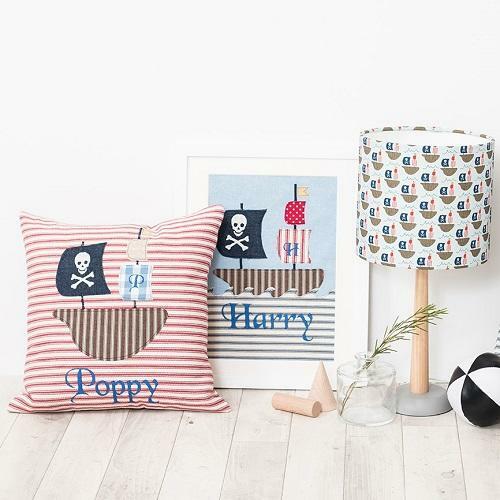 The picture comes ready mounted and framed in a choice of either a solid wood white frame or solid oak.